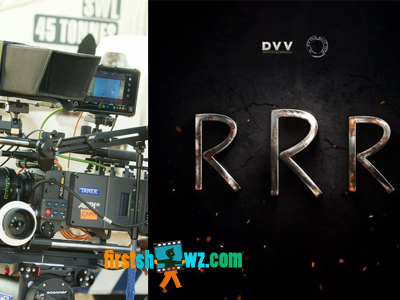 We at Firstshowz.com has earlier reported to our viewers that RRR second schedule has resumed, and the makers are canning some key sequences. It is known fact that RRR is being made with a massive budget of 200 Cr and we hear that the makers are using new technology, which will be the first time ever. DOP KK Senthil Kumar shared the news on the update and informed that the the use of lens belonging to Arri group which is a global supplier of motion picture film equipment. For RRR, the team is opting for the ALEXA LF camera, ARRI Signature Prime lenses, and this helps in capturing images in natural light thus reducing the effort of using artificial light while shooting and delivers the best quality. RRR is certainly going to be on top notch in the visuals, and it is worth mentioning that this is the first Indian film to be using them. Other cast of the film are to be announced still. DVV Danayya is producing RRR with MM Keeravani composing the tunes, and the film releases in sometime in 2020.